First off, I am aware that this film has been this summer's incredible box office success. But even if it weren't, I could not recommend it enough. My girl friend and I enjoyed it so much that we went to see it a second time, and believe me, seeing a movie twice is not something that we ordinarily do. Secondly, I am a tremendous Bruce Willis fan and will go to see almost any movie in which he appears, and some of them have been real lemons. So when one of my favorite actors appears in a truly wondeful film, it's a plus. Willis plays a successful child psychologist who, as the film opens, has just received his city's award for outstanding work in helping children cope with very severe emotional problems. As he and his wife are celebrating, a former patient of his breaks into his house and attempts to kill him. Malcolm (Willis) is shot by the self-described failure who then takes his own life. The next scene takes place a year later. We see Malcolm, apparently healed from his gunshot wound, preparing to interview a new patient, a disturbed child who reminds him of the patient who shot him a year earlier. One of the problems he encounters at first is that the child will not divulge his most agonizing symptom. 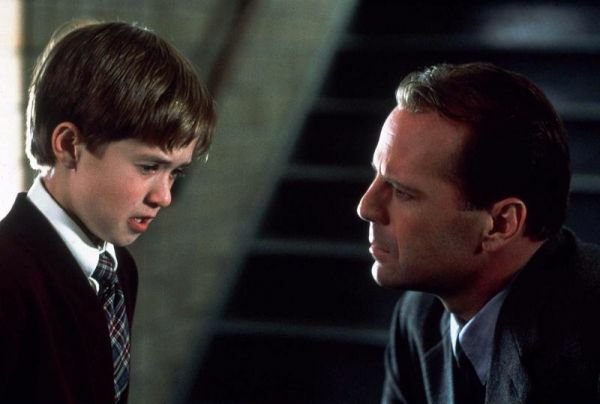 As Malcolm works with the child and gradually gains his confidence, the boy reveals that his problem is that he sees and hears dead people who present themsleves before him. Although the boy appears to be sufficiently terrified by these so-called apparitons, Malcolm of course is highly sceptical and attributes the ghostly visitations to the child's paranoid condition. His makes a note to himself that the boy may have to wind up being institutionalized since the fear of the dead people almost incapacitates the boy. It has become very imortant for Malcolm to succeed with the boy, to help him overcome both the apparitions and the fear of them. His success with this boy will signify to him a compensation for his failure with the previous patient who assaulted him and took his own life. The interplay between the psychologist and the child is touching and well performed. 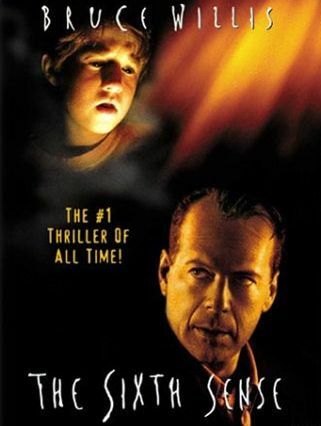 Although the apparitions do not cease, Malcolm guides the boy through a process of working with the ghostly appearences so that he may overcome his fear of them. The shocking denoument of the film will grip you. Please do not reveal it to people who have not seen it. MPAA: Rated PG-13 for intense thematic material and violent images. The film's running time is 106 minutes.